South Africa is famous for wildlife, beaches, stunning landscapes, and historical attractions. The country easily blends its recent historic past, adventurous spirit, and modern innovation into a fascinating destination for all. 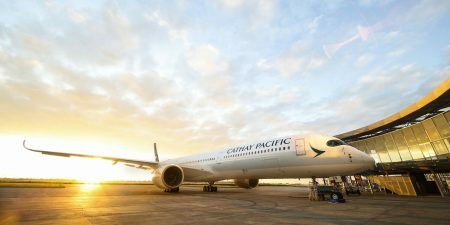 Fly to South Africa with Cathay Pacific and enjoy spacious seating, great onboard entertainment, and delicious cuisine. Join the Marco Polo Club to earn points towards business lounge entry and other upgrades. Settle into your seat sooner with our priority boarding, and arrive rested and ready to explore South Africa. South Africa’s wild landscape and world-class cities offer up the chance for a huge diversity of experiences. Start in Cape Town and hike the famous Table Mountain; visit Robben Island, where Nelson Mandela spent years imprisoned. Alternatively, families might head to Boulders Beach and spot some penguins, or enjoy the Two Oceans Aquarium. In Johannesburg, explore many attractions including the emotive Apartheid Museum, the light-hearted Gold Reef City, SAB World of Beer, Constitution Hill, and the UNESCO-listed Cradle of Humankind. Head to Durban for great surfing and beaches, get up-close to the animals in Kruger National Park, discover lush winelands, and admire the Dutch heritage in Stellenbosch. Discover this beautiful country when you book flights to South Africa with Cathay Pacific today.